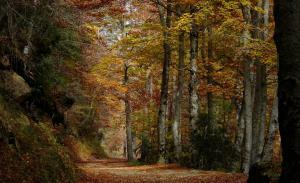 Autumn is an ideal time to wander the hills and valleys of La Rioja. 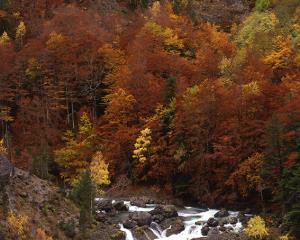 Everything is tinged with red and yellow thanks to the beech forests and vineyards. If what you like is enjoying the landscape and nature, we suggest some special places for their beauty, their surroundings or the fun they offer visitors. 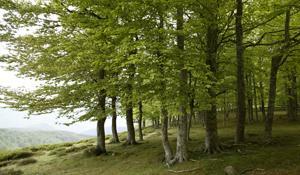 To begin, you should visit the Sierra Cebollera Nature Reserve. 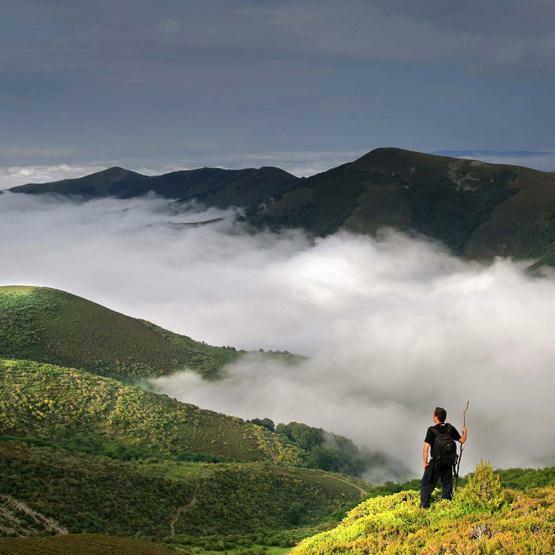 This reserve starts from the Sierra de Cameros and has some curious landscapes, a chapel with ancient traditions, like 'the charities' and even a park of sculptures made with landscape components. The best way to start your visit to the park is to visit the Interpretation Centre, located in Villoslada de Cameros. You will learn about the natural wealth of the reserve, its flora, fauna and all the secrets it hides. 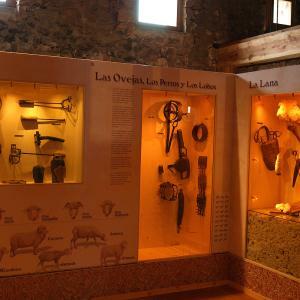 After passing through the Nature Reserve Interpretation Centre, you can choose to visit the Transhumance Interpretation Centre, which explains the importance that this cattle practice had in this area of ​​La Rioja or go to the pretty village of Ortigosa of Cameros and visit its tourist caves. 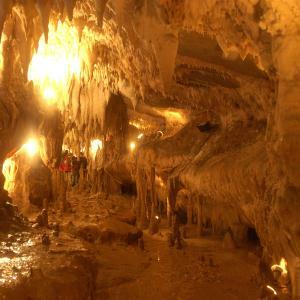 Try searching for a poodle among the stalactites and stalagmites! You can also request information at the interpretation centres or the Cameros Tourist Office to visit a unique natural area that is close by, the Puente Ra waterfall. Water is the protagonist in this environment. Make sure your camera is ready because all the pictures that serve in this area will be eligible to appear among your favourites. Going back towards the capital, we suggest you go off the main road to visit the Camero Viejo. 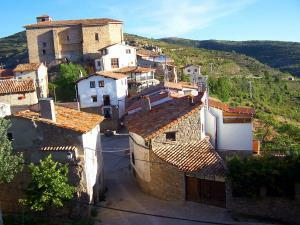 This is ​​the least populated area but it retains all the charm of small mountain villages. The road turns into a succession of bends, bordering the grand canyon created by the River Leza. Do not miss the climb to the village of Trevijano, hanging over the canyon, from where you will see griffon vultures flying. 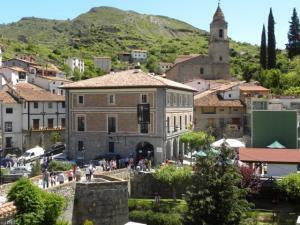 You can stop in the town of Soto de Cameros, where the famous Soto Marzipans everyone here has at Christmas are made. Ask any local what the Almazuelas are. You will be surprised by the abundance of colour. To complete your visit to Cameros, we suggest some sports tourism. 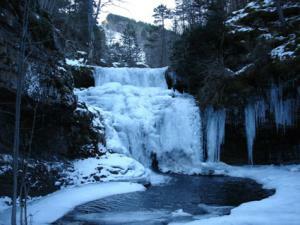 The opportunities in this area are many: hiking, biking, 4x4, canyoning, caving, paragliding ... Do you dare give it a try?